As part of your team we’re working for you, not the printers. 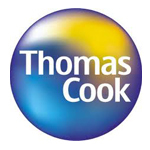 “grgprint have been supplying print for Thomas Cook since before I started but it didn’t take me long to understand why." “I have worked with grgprint management over the past few years, providing print and services for many of our customers and the quality of the work from them..."